Today FunkyVideoGames presents gaming accessory under $50 that you can gift to gamers or you can use it for yourself. Gaming is not a lightweight hobby and it can be a burden on your pocket. But what if you can find great quality product for cheap. 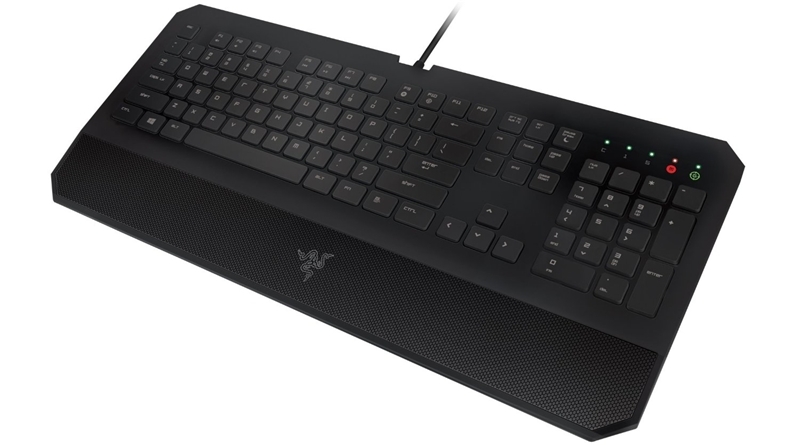 In Razer DeathStalker Essential Gift for Gamers Under $50 we will provide you Razer DeathStalker Essential Gaming Keyboard that has great quality and is just under $50. Razer is known for making some of the best quality products in PC gaming industry, the only downside is that they usually come at a cost. The DeathStalker Essential Gaming Keyboard will only cost you $50, give you tons of customization options, and a comfortable experience. The DeathStalker Essential Gaming Keyboard has a long hand rest with great texture design which also means that you need a little more desk space for this keyboard. The keyboard is equipped with completely programmable low-keycap chiclet keys that only require 2mm to actuate. With this keyboard you can react faster to different in-game situations. The Deathstalker Essential runs on an excellent Razer Synapse 2.0 application which means you will be able to control illumination, program macros and set parameters for gaming mode. This application will also allow you to set up different profiles for different titles. This gaming keyboard also has a gaming mode which allows you to deactivate certain keys such as F4, Alt Tab and Windows key while you are playing a game to avoid exiting the game accidentally. You can record macros with this keyboard and easily assign them. The DeathStalker Essential Gaming Keyboard really performs well with mostly all of the games. It will definitely suit to all of your gaming need. DeathStalker Essential Gaming Keyboard is best keyboard in terms of cost-to-performance. You need a good keyboard for your gaming and DeathStalker Essential is the one you need.